Wirral is home to some of the most fantastic beaches and countryside retreats in Britain, not to mention the long nature filled public footpaths. However, issues regarding footpaths have been raised by many local residents who think that they are slowly beginning to fade away behind the overcrowding growth of neighbouring trees and plants along with the ever decreasing use of the paths by members of the public. 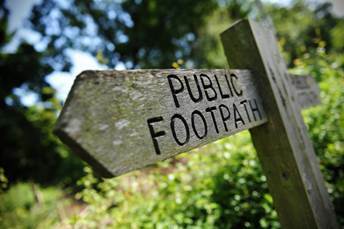 Following on from these queries, a ginormous task to dramatically improve these public footpaths on the Wirral has been taking place prior to the huge walking festival event that is happening soon. Should you wish to find out any more information about the various activities you can do so by clicking HERE. Having improved many routes, workers have also modified around 50 normal stiles and have upgraded them to concertina gates that allow an easy step through access and have plans to change a further 26. Some pathways are extremely uneven and are hard to manage and because of this problem further improvements have also been made to the surfaces in order to encourage the general public to use and enjoy the vast countryside their area has to offer. One place in particular that has been reformed is Limbo Lane which is located near Irby between Thingwall Road and Arrowe Brook Lane. This public footpath it is not too far from a public bridleway that runs along Roman Road to and from both Prenton and Storeton. The great walking event mentioned above is said to be held in May and is highly likely to attract walkers of all abilities and age ranges. This event will see members of the public travel the distance of some picturesque paths situated along the Wirral’s countryside route. The funding to regenerate the numerous paths around the Wirral has come from the Public Health Outcomes Fund and therefore, permitted the project to proceed. “It is a major priority for us to improve the health and fitness of residents and reduce the health inequalities that exist in the borough”. “Walking and cycling are two significant things that people can easily do to improve their overall wellbeing, so ensuring our public paths and rights of way are accessible to the majority of residents and visitors is a significant step forward”.